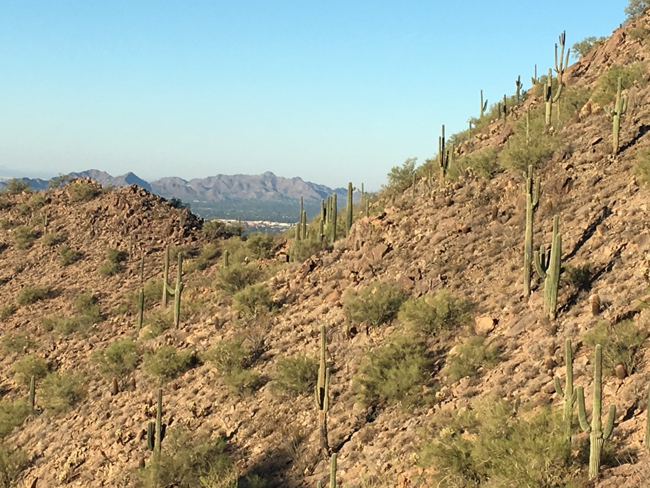 Nextiva held its first ever analyst/consultant conference recently in Scottsdale, AZ, in conjunction with NextCon16, its partner and customer event. The lineup of speakers for NextCon was impressive - tech evangelist Guy Kawasaki, Apple co-founder Steve "Woz" Wozniak, Gopi Kallayil, Google's Chief Evangelist of Brand Marketing, Pat Wadors, LinkedIn's Chief HR officer, and many other luminaries who helped educate and inform the audience of over 2,000 attendees about entrepreneurship, business development, sales, marketing, IT, customer service, and operations. 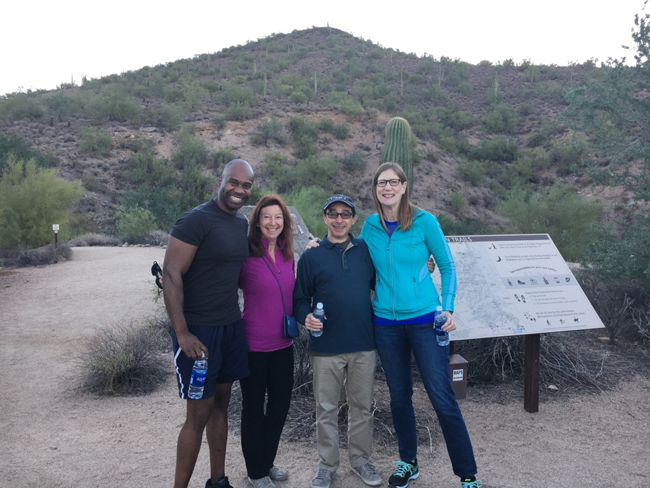 Several of the UCStrategies' team were at the analysts and consultants event, which was a combination of breakout sessions, keynotes, and even an early morning hike in the Scottsdale hills. UCStrategies Experts David Smith, Blair Pleasant, Jon Arnold, and Melissa Swartz. I've been following Nextiva for a couple years, as they're a key UCaaS/cloud VoIP provider, with over 150,000 business customers, and I was pleased to see the progress the company has been making. Nextiva prides itself on its "Amazing Service," and its focus on the customer and customer care. Based on the way the team treated the analysts and consultants at the event, it's clear that the company really lives and breathes Amazing Service. The company now has seven POPs in North America, and is in the process of setting up infrastructure in other parts of the world. The focus is mainly SMBs, although Nextiva has several large franchise business customers, including Texas Roadhouse, Burger King, Taco Bell, and others, as well as Target, Hanjin, Habitat for Humanity, and even the Conan show. During his keynote, company founder and CEO Tomas Gorny introduced Nextiva's new operating system, NextOS. Gorny has based most of his career on finding gaps in the market and finding a better way to serve that market. Noting that "Business communications is in a state of crisis," he explained that "Most businesses use 10-15 applications to communicate and collaborate, but we're communicating in silos, providing a fragmented, incomplete view of the customer. We're communicating but not connecting." He noted that it's harder to engage, and employees are becoming less productive and more dissatisfied, resulting in increased employee turnover, which is more expensive than ever before. Gorny added that research shows that the state of an organization's communications has significant impact on the bottom line, and that a smarter experience is needed in today's convenience economy. "Communication tools create as many problems as they solve. Businesses today are spending more time, more money, and more resources than ever before, but are not getting the right results." He added that while we have lots of silos, there's no single solution that is capable of effectively addressing this. Nextiva was founded to simplify business communications, and is introducing NextOS to "shape the world of business communications and address many of the issues we're facing." Built from the ground up to provide a complete view of the customer, NextOS is aimed at driving customer engagement, while improving the way employees and customers communicate, collaborate, and engage. As a single solution tying together several silos, NextOS leverages AI, natural language processing, machine learning, and analytics to enable companies to connect with customers through voice, email, chat, SMS, and social media, while also connecting and collaborating internally through task management, internal chat, and calendar invites. Customer-facing employees have visibility into customer information, and based on the analysis of language used in interactions, can view customer sentiment and track the customer journey. Workflow automation, personalization, and predictive modeling are used to anticipate future outcomes, providing the ability to track the customer journey at every step. Gorny noted, "You can't solve today's communication problems with dated technologies that just add apps on top of each other," explaining that "NextOS merges customer communications, team collaboration, and customer engagement on one system, in order to bring the experience that customers expect from big companies to any size company." Note that Nextiva's use of the term "team collaboration" refers to the ways in which workers can collaborate to solve customer issues, and does not refer to workstream collaboration solutions like Slack and Spark. According to Gorny, "We're creating a new standard for customer and organizational relationships. It's about tracking each customer at each point in time and engaging in conversations with them about more products at the right time. NextOS leverages patent-pending tools to automate business processes and engage with customers and employees to create personalized experiences." Gorny believes that the future of work will come from knowledge and automation, while knowledge comes from data and making sense of the data. In this interview, Gorny describes NextOS, what makes it different, and how it can be used. While NextOS was the focus of many of our discussions at the conference, it's important to recognize that Nextiva is also busy enhancing its Nextiva Office solution. When describing its architecture, CIO Josh Lasavoy noted, "Everything we build is a services-based architecture. This lets us componentize everything and give customers what they want." 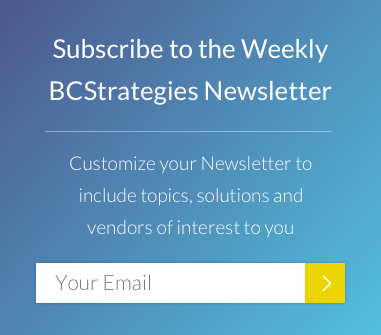 In this interview, Lasavoy discusses machine learning and natural language processing as part of NextOS, as well as Nextiva Office, some of its collaboration capabilities, and what's on the roadmap. Nextiva has also been busy building up its channel program. Tracy Conrad, Nextiva President, and Ira Feuerstein, Director, North America Channel Sales, noted that Nextiva's channel program, which began in 2013, is rapidly growing, with over 1,500 partners today. The company is focused on Master Agents, Managed Service Providers (MSPs), and VARs/resellers. Acknowledging that future growth will come from larger customers, Nextiva also recently added an Enterprise Group, led by Jeremy Polster, Director, Enterprise Sales, targeting businesses with 100-2,500 seats. In addition to learning about Nextiva's solutions and services, we also learned a lot about the company and its culture. The term "passion" and "passionate" came up many times during conversations with various people in the organization. The company and its employees are truly passionate about providing great solutions and services, and building a world-class organization. The concept of Amazing Service is evident throughout the organization, and it's obvious that the team works hard, but also likes to have fun. And just as important, Nextiva likes to give back to the community, with its Nextiva Cares outreach and philanthropic program. Through Nextiva Cares, Nextiva donated $5 to charitable organizations every time #NextCon16 was used on social media during the event. The company donated over $20,000 to 12 local and national organizations that Nextiva Cares is supporting this year. One thing that sets Nextiva apart from many of its competitors is that the company has been independently funded from its inception, and has been strategically investing "where it counts." By not relying on outside funding, the company can be more flexible and move forward when it sees an opportunity. Nextiva has a lot of work to do, as it introduces the new operating system, builds out its channel program, and continues innovation on its Nextiva Office solution. NextOS is a huge undertaking, and it will require lots of effort in terms of engineering, development, marketing, and sales. NextOS is not simply a new VoIP or CRM system, and it needs to be positioned in such a way that customers will understand its value and benefits, and why this single solution is a better option than some of the standalone solutions available today. The new solution focuses less on voice communications, which becomes a component of a more comprehensive solution that focuses more on customer engagement, customer relationships, and the customer journey. This is a new area for Nextiva, which will need to do a good deal of educating and evangelizing about its vision for the market. Entering into this new arena is no small task, but the Nextiva founders have a history of successfully moving in to new markets with large competitors. It was great to get to know a company that truly cares about its customers, and is developing new services and solutions to solve problems that most businesses are struggling with. As CMO Yaniv Masjedi noted during the conference, Nextiva set out to build "a great company with great people and a great product." Based on the people I met at NextCon, I believe that their passion and innovation will help them move forward and succeed.